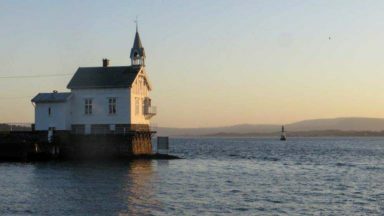 Only 2hr 30min from Oslo, this Scandinavian adventure capital is easily reached for a long weekend, with regular flights to Norway from the UK. Hiring a car from the airport offers the easiest access and, during the winter months, also guarantees a full winter package for driving on what appears to be the most daunting surface you could ever dread to travel on. 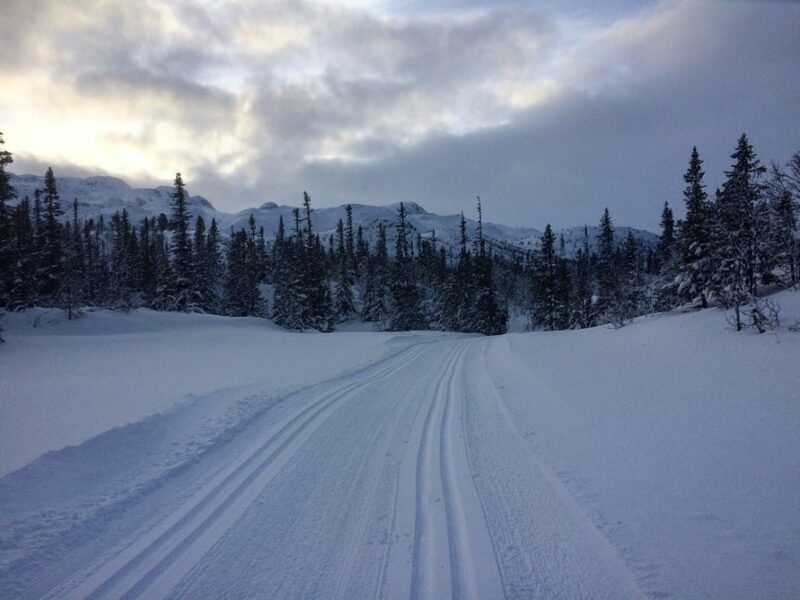 The roads are surprisingly enjoyable for even the most cautious driver: the sub-zero temperatures provide a dry, snow-covered surface on which snow tyres grip sufficiently. 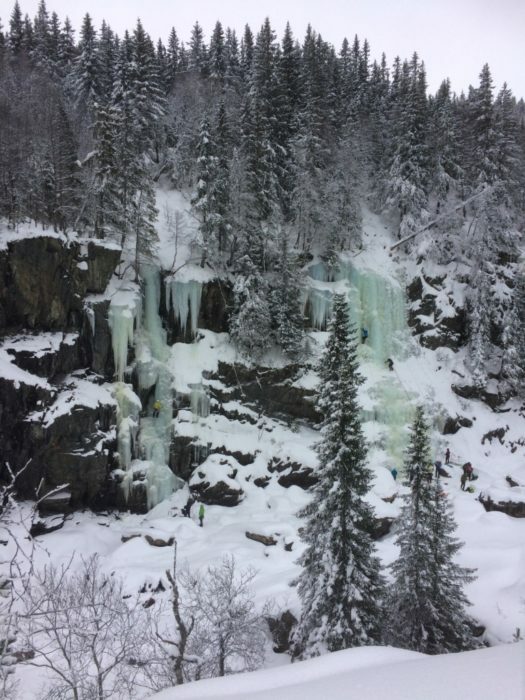 Rjukan caters for all adventurers: from the young to the old; the casual pace of a snowshoer to the speedy downhill skier; and from the history buff discovering the heroes of Telemark to the ice-climber hanging from their crampon and ice axe points on a frozen waterfall. 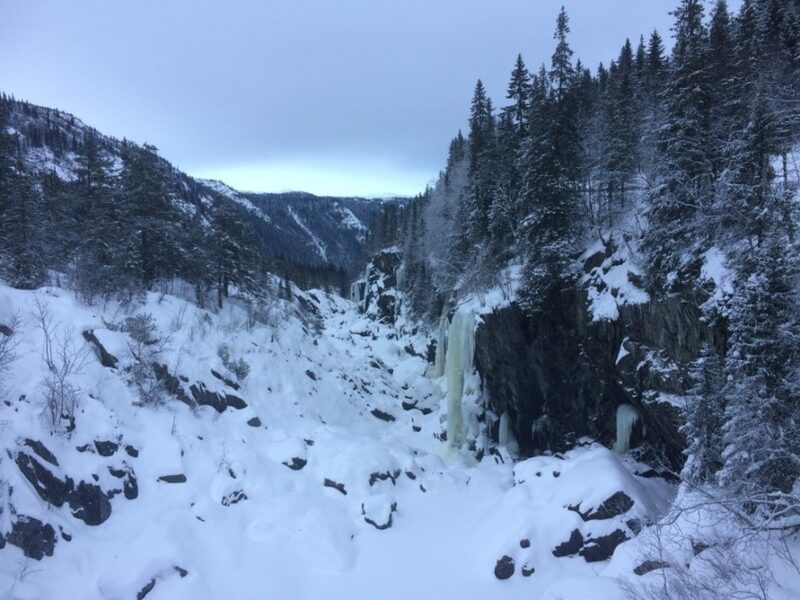 Rjukan is located in a deep U-shaped glacial valley, sitting at 303m above sea level within the Telemark area of Norway. 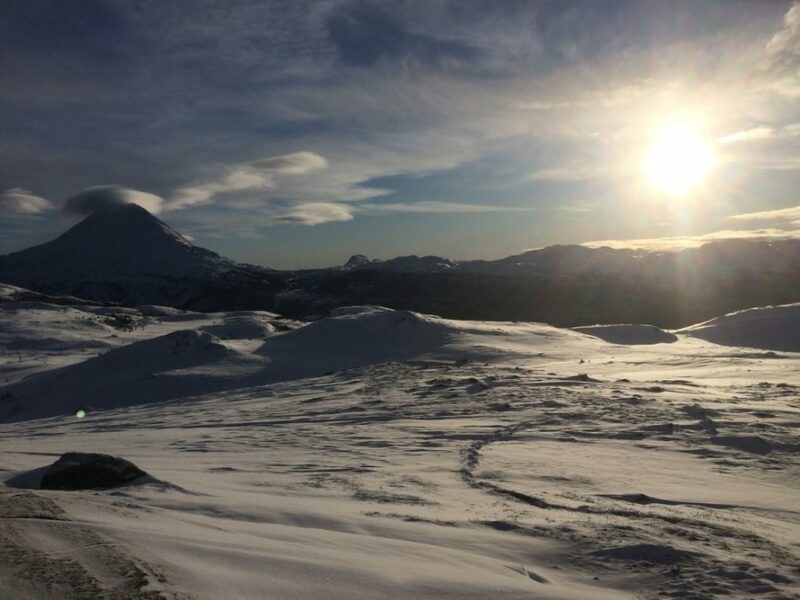 The peak of Gaustatoppen, the highest mountain in southern Norway, stands above the southern side of the valley at a height of 1883m, blocking the winter sun. The founder of the town, Sam Eyde, thought out and suggested giant sun mirrors (Solspeil) in 1913, although they were not built until 2005 when Martin Anderson designed and completed the project. A 51m2 mirror now enables the market square to be lit up during the long, dark winter months. 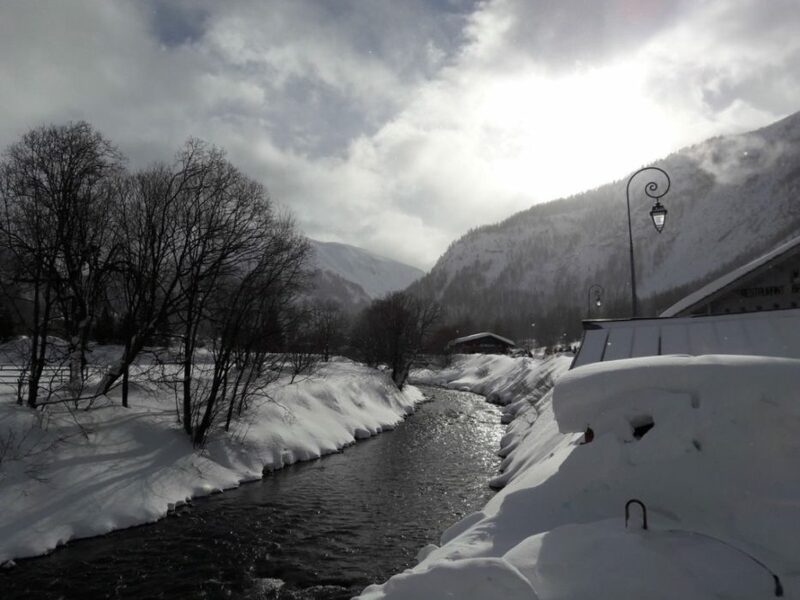 Once a significant industrial centre, Rjukan has had a very wealthy past. Norsk Hydro started hydro-electric production in 1905 due to the high waterfalls throughout the valley. In 1934 the world’s largest hydro-electric powerplant was built at Vemork. 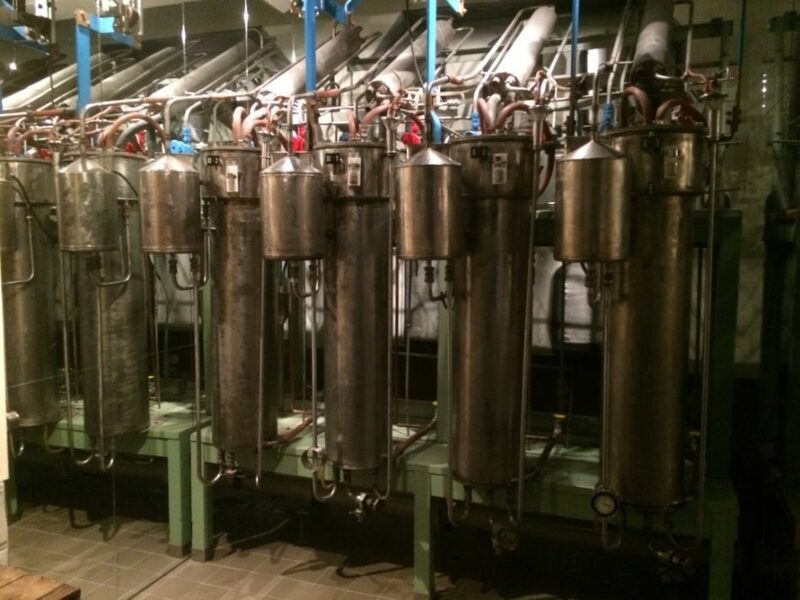 It was made famous during World War II because of its advances in science and heavy water production (an important component required for the development of nuclear weapons). 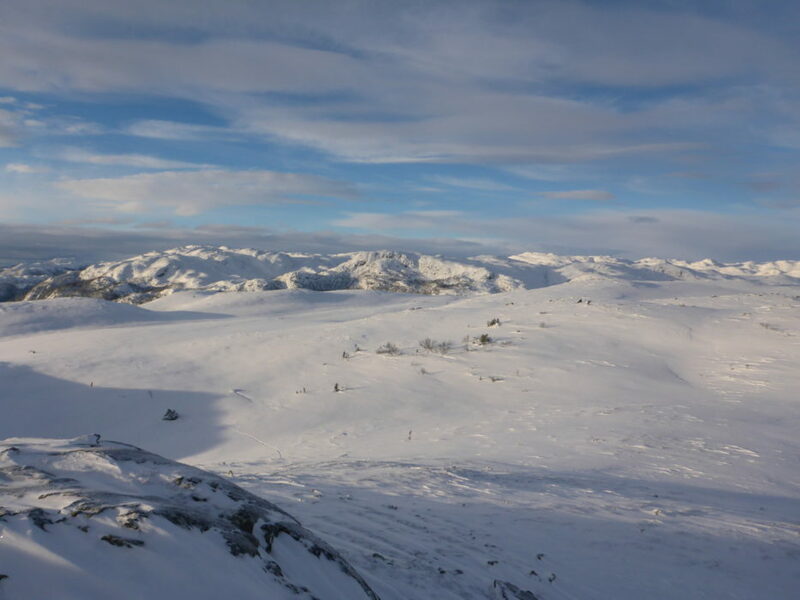 In 1943, a team of Norwegian Resistance fighters (the heroes of Telemark), who fled their Nazi-occupied country to train with British Commandos in the Cairngorm mountains of Scotland, were parachuted onto the Hardangarvidda plateau. Their mission, as part of Operation Gunnerside, was to sabotage the production of heavy water in an attempt to limit the Nazi war effort. Bombing raids had failed because of the topography and terrain of the valley, so a Special Operations Executive operation was needed. 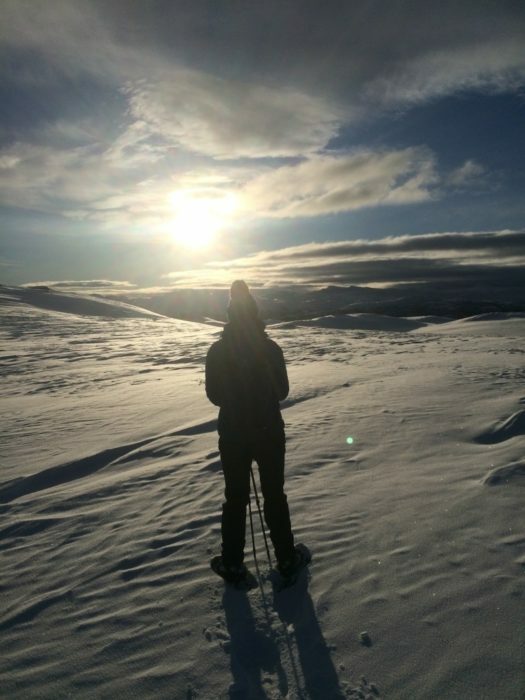 The team succeeded and escaped, skiing more than 200 miles south through Norway to freedom. The site now hosts the Norwegian Industrial Worker’s Museum. It is open daily and offers an informative tour of Norway’s industrial prowess from the early 20th Century through to the present. Rjukan is a fairly large town for Norway, with over 4000 inhabitants. 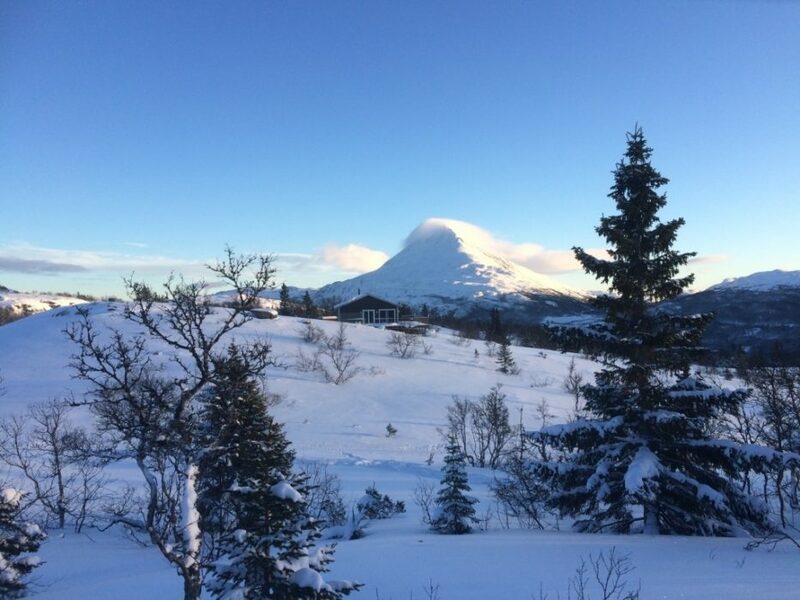 Due to tourism and the local ski resort, Gaustablikk, just 15 minutes’ drive away, the town has many services, including four supermarkets, restaurants and cafés, alongside a selection of sports and tourist shops. A ski shuttle regularly passes through the town, onward to Gaustablikk. Unfortunately, there is no railway. 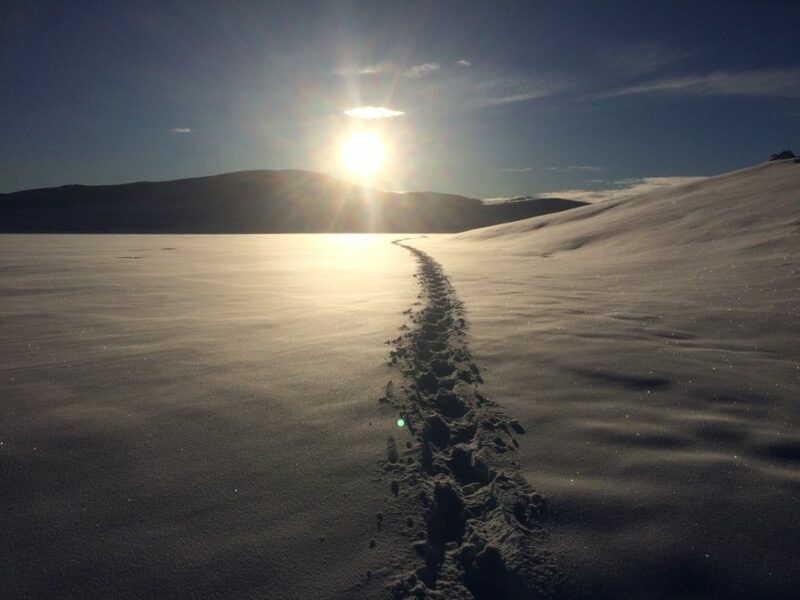 Snowshoeing has been a long-established form of travel for over 5000 years. A latticework of bindings surrounded by a wooden frame provides a flotation device when hiking or trapping in soft, deep snow. Modern snowshoes are lightweight, reasonably priced and very easy to use, making it a suitable activity for everybody. 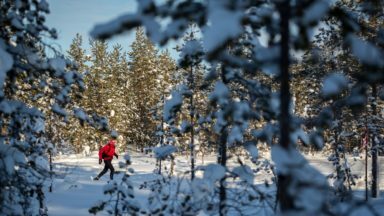 Rjukan offers multiple areas to snowshoe, the most practical one starting from the ski resort at Gaustablikk. Here you can make use of the sides of the groomed cross-country pistes, or follow the many marked trails surrounding the resort. This is a perfect location for beginners. 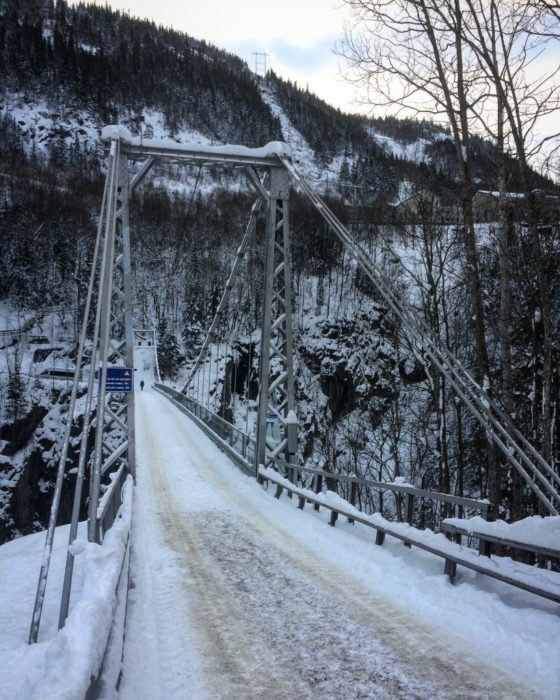 Snowshoeing in and around the Rjukan Gorge is equally easily accessible. 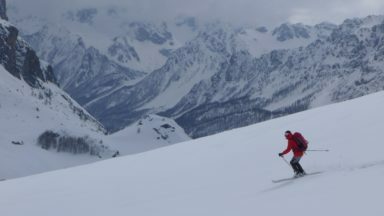 It is important to note that when snowshoeing off groomed pistes, it is strongly recommended to carry and know how to use an avalanche transceiver, probe and snow shovel, alongside sufficient clothing, a map and a compass. 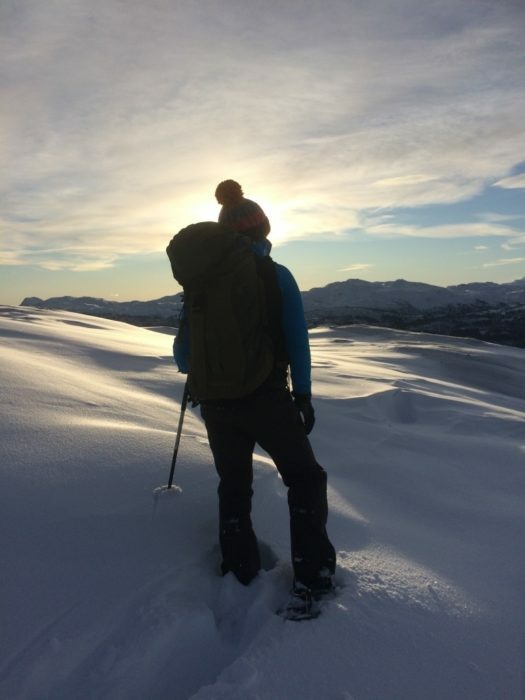 Experienced snowshoers can make use of the free detailed Norwegian online mapping, where circular routes can be planned in advance. There are numerous car parks aligning the valley, as well as the uplift at Krossobanen. 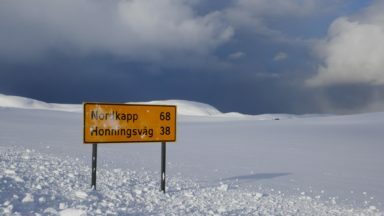 The Krossobanen uplift was built in 1928 and provides the perfect opportunity for the intermediate snowshoer to access the south-eastern edge of the Hardangervidda plateau. Many routes are marked at the 890m lift station at Gvepseborg, making use of some groomed trails, alongside trailblazing new routes. 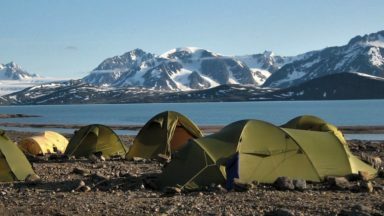 A particularly good circular route from here incorporates the summit of Piggnatten (1136m) and the lake that is frozen for six months of the year at Sandvass (1089m). 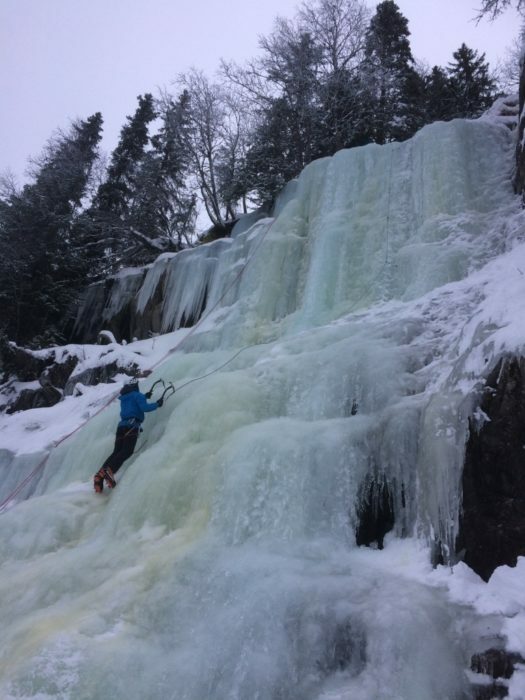 For the experienced snowshoer, a short circular route can be planned near the famous ice-climbing sight of Krokan, providing an insight into the terrain experienced by the heroes of Telemark. Leaving the car park at the village of Fosso, make use of one of the two bridges that cross the gorge, to ascend the mountainside using either the footpath or the forest road. 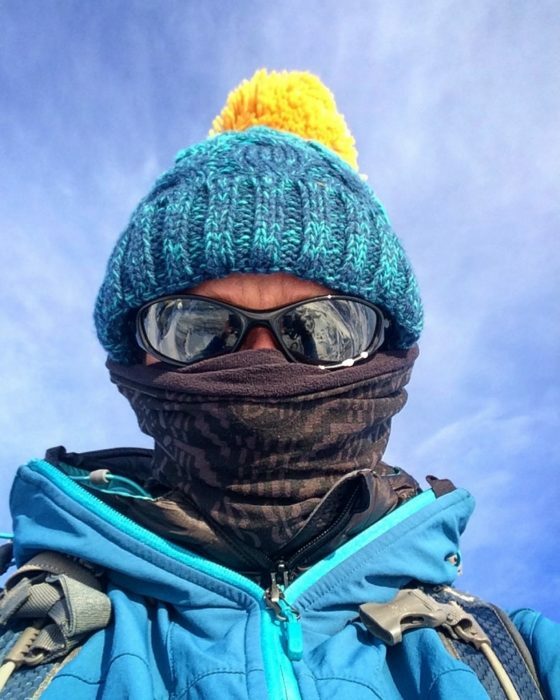 Trailblazing and a good knowledge of walking in the winter environment is needed to rejoin the opposing path, making use of a map and compass to ensure you complete the circuit. 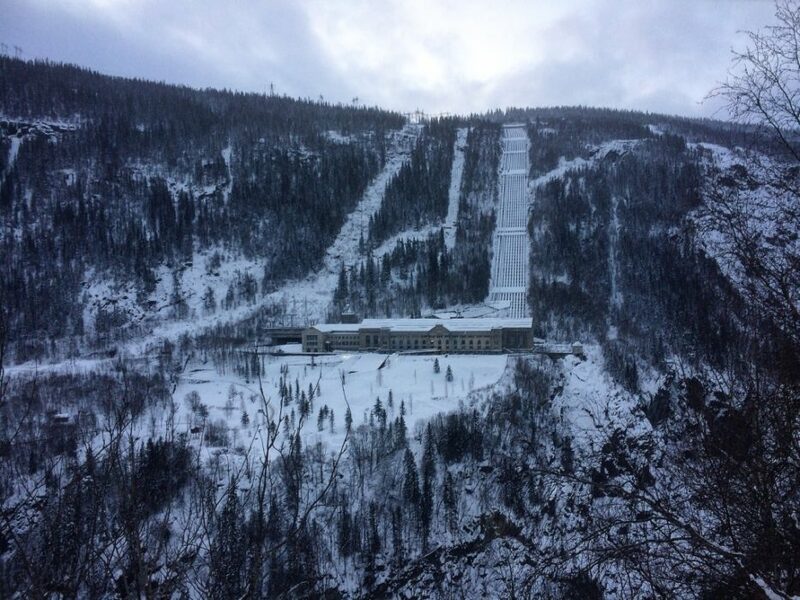 Rjukan is a famous Nordic ski area, hosting the FIS (Federation Internationale de Ski) competition last season. 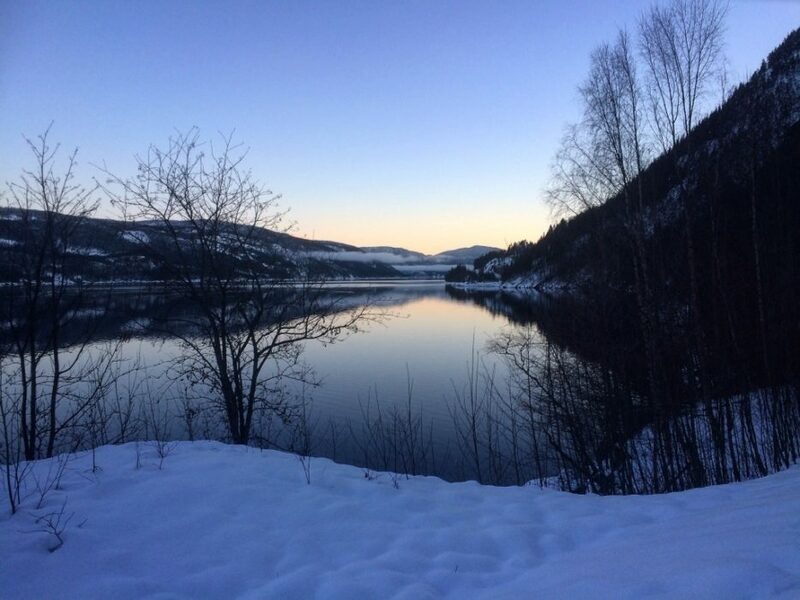 Gaustablikk sits in the perfect location; west of the Hardangervidda plateau, affording it an early snowfall, lasting throughout the season. 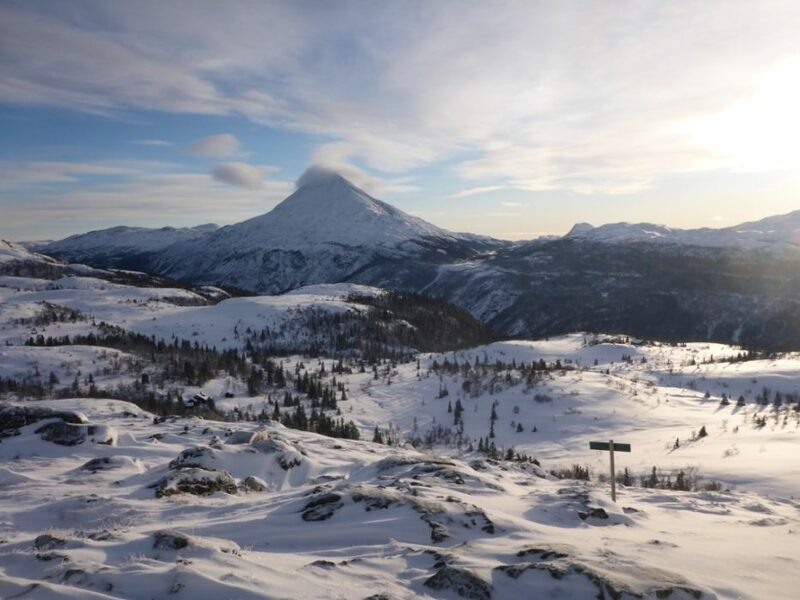 With a regular free ski shuttle bus service from the valley floor, the resort offers over 85km of groomed cross-country ski trails, 30km of downhill ski slopes, a snowpark and extensive opportunity to snowshoe off the beaten track within the sixth largest ski area in Norway. 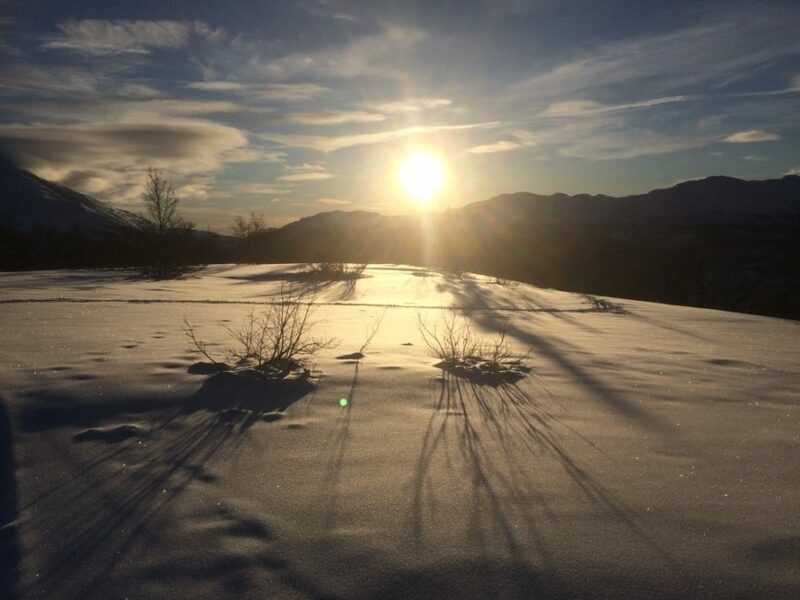 With a large car park, restaurants, cafés and equipment hire, it is the perfect place for beginners, intermediate and advanced cross-country skiers to enjoy trails of increasing length and difficulty. A piste pass will need to be purchased. 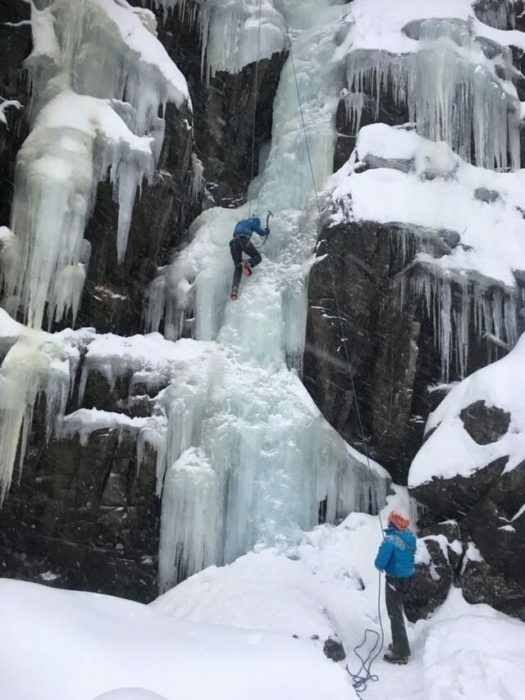 With over 192 waterfalls frozen throughout the six-month winter season, Rjukan enjoys a stable, highly regarded ice-climbing season: the best in Northern Europe. 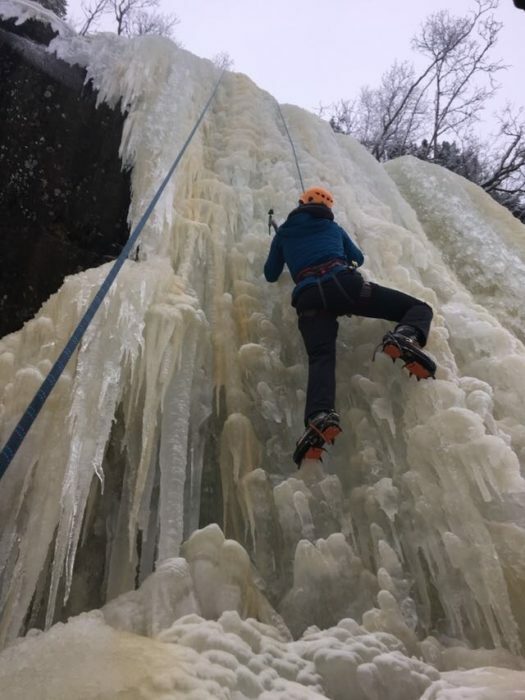 Over 150 ice-climbing routes have been established in the area, ranging from one to 17 pitches in length. 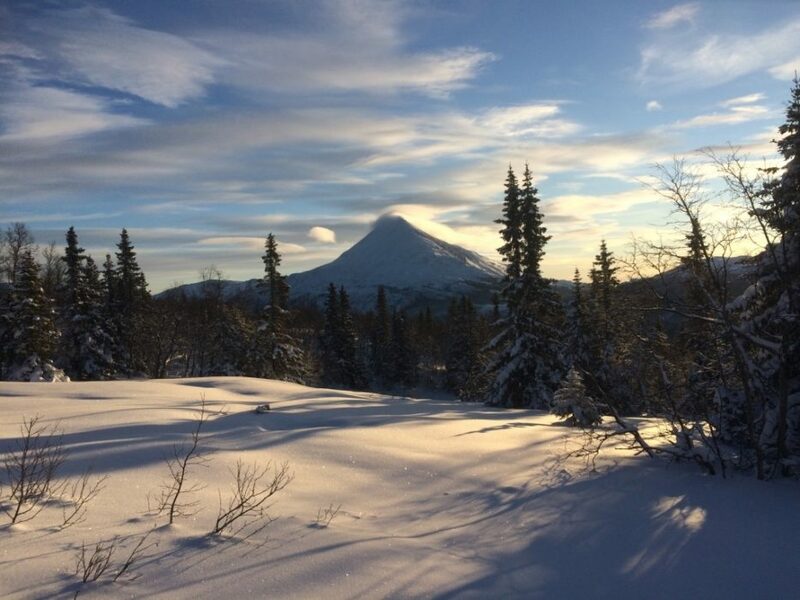 There is an abundance of grade 1 (short climb, easy approach and descent) routes for the beginner or intermediate climber to practice on, especially in the Kroken area, several kilometers west of the Norwegian Industrial Worker’s Museum. Another favourite area (Osmossis) for warming up and practicing is located on the second hairpin bend of the mountain road to the Gaustablikk ski resort. 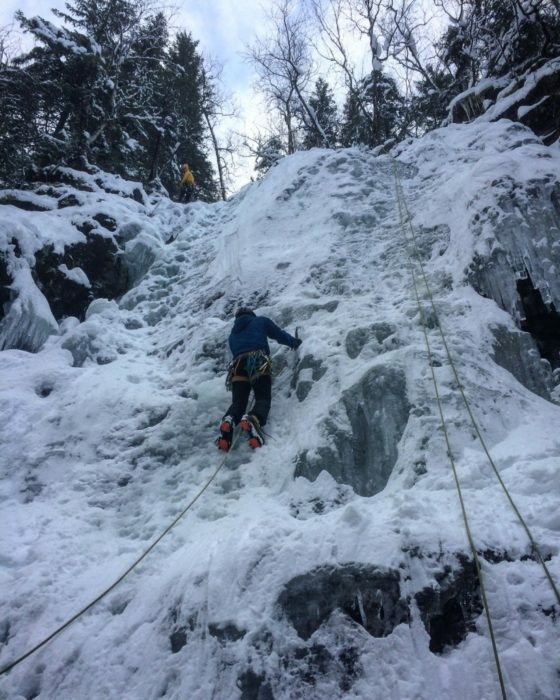 Nearly all the climbs in the Rjukan valley are within five minutes of car parks located along the main road. 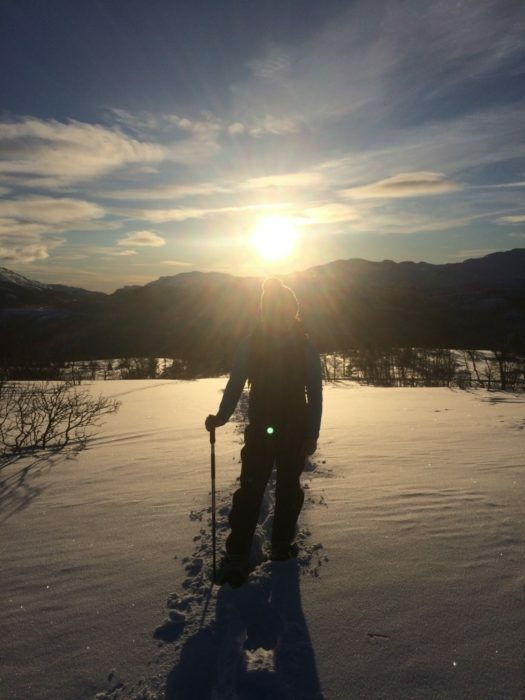 The staff at the Old School Hostel Rjukan and Skyhook Adventures offer equipment hire, advice and instruction. 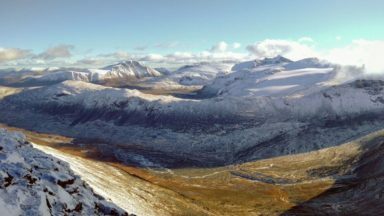 A comprehensive climbing guidebook has been published by the Oxford Alpine Club to further assist with planning and route selection in the area. 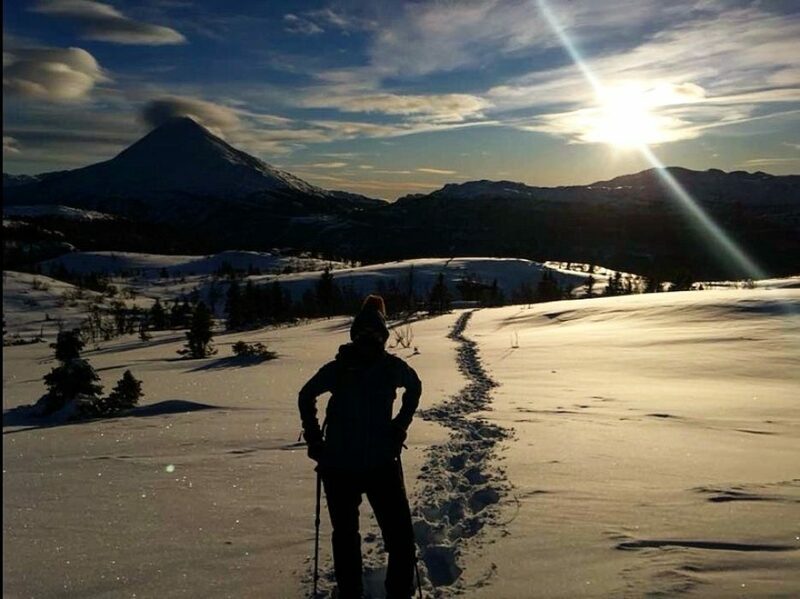 Snowshoeing is widely available throughout the region. Snowshoe hire is available at the Gaustablikk Ski Resort (www.gaustablikk.no), G-Sport (www.gsport.no) in Rjukan as well as from Rjukan Old School Hostel. 85km of groomed pistes on very reliable snow. 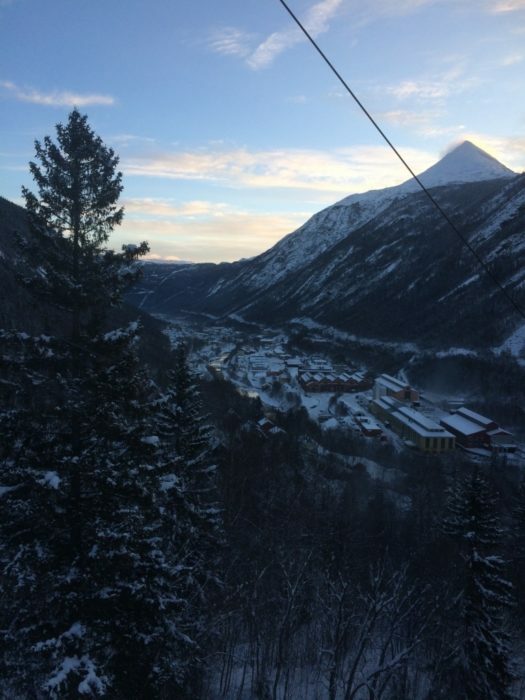 Ski hire is available at Rjukan Old School Hostel as well as throughout the resort. Free ski bus transport from Rjukan to the resort. Night skiing is available on a Thursday. 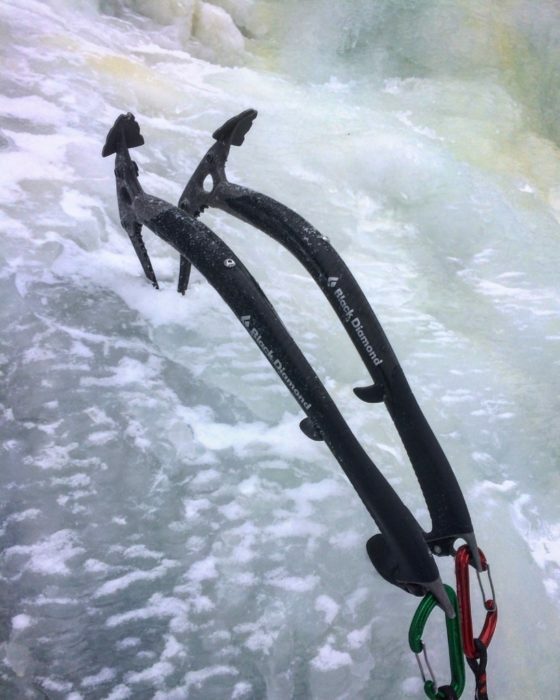 Skyhook Adventure operate in Rjukan, providing very good instruction and equipment hire. Both organised and tailor-made trips are available. Jakob, the owner of the Old School Hostel, is an instructor and can also provide instruction, hire and detailed knowledge of the local area. Broadbent S (2017) Rjukan: Selected Ice Climbs, The Oxford Alpine Club, ISBN 9780993548642. 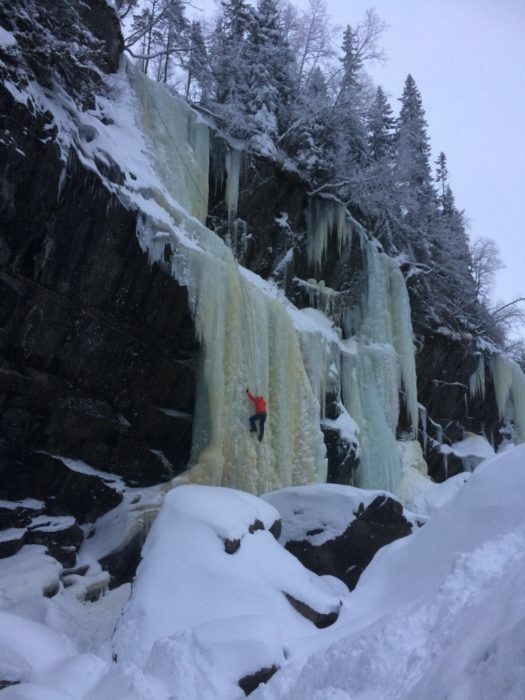 Rjukan Guide has a summary of ice climbs in Rjukan. The Rjukan Old School Hostel offers budget accommodation in an old traditional, rustic Norwegian schoolhouse. 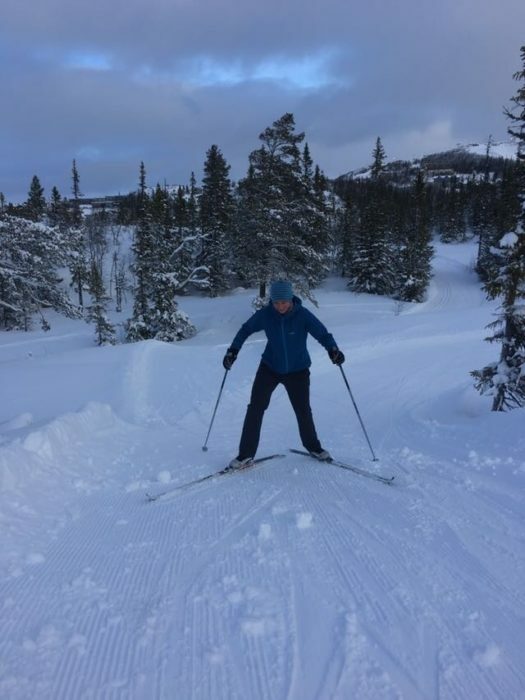 Its owner, Jakob, is a local with outstanding knowledge and understanding of the area and all the activities Rjukan has to offer. 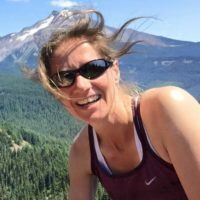 As an outdoor instructor, he can provide extensive information, guidance and gear hire for the duration of your stay. The hostel has a selection of single/double occupancy rooms, alongside bunk beds, with a shared self-catering kitchen and living area. A welcome log burning stove, drying room and sauna are all part of the package.